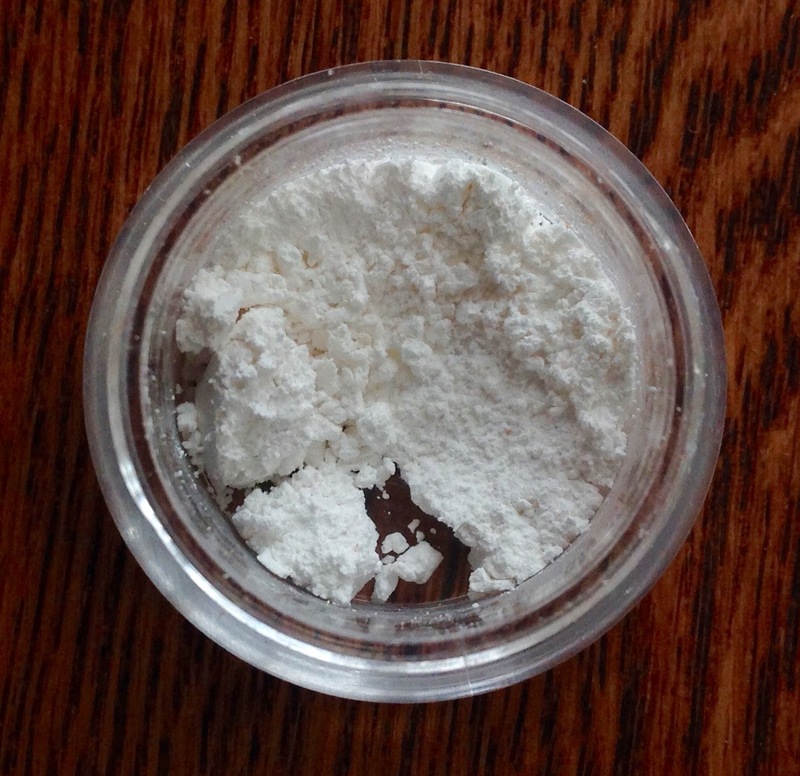 This is the first time I've purchased from Silk Naturals and I'm pretty excited about it. Silk Naturals is an all natural brand with well thought-out ingredient choices and lots of vegan options. 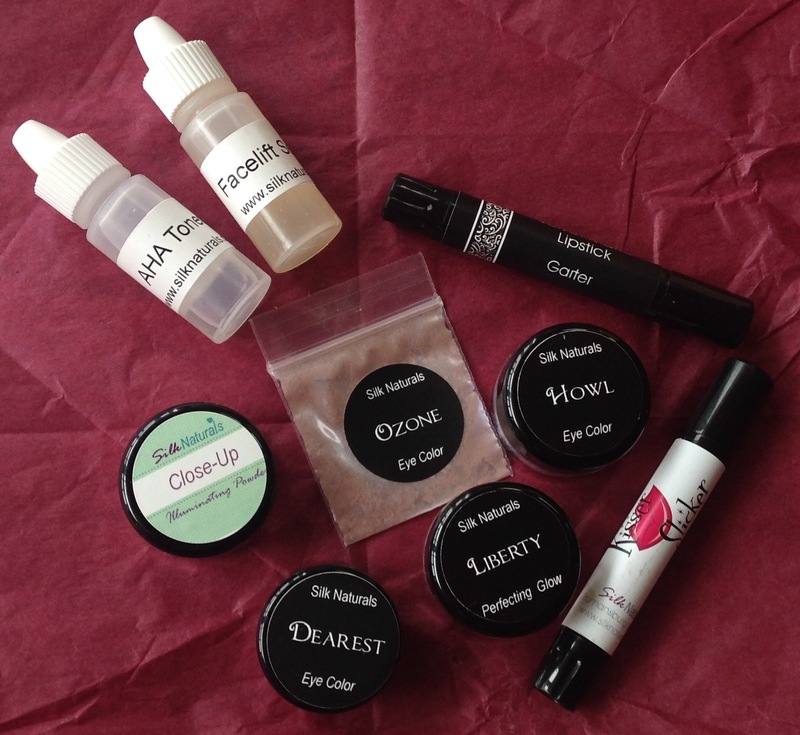 It has both a wide selection of skin care and make-up for very reasonable prices. They also have samples of many of their products which is great if you just want to see if your skin reacts well or if you like a certain formula. For skin care I decided to try a sample of their 8% Lactic Acid AHA toner, and I got my mom a sample of their Facelift serum. Make-up wise, I purchased two lip products- one in their Velvet Matte Lipstick formula- Garter, and the other in their Kisser Slicker formula, Asset. 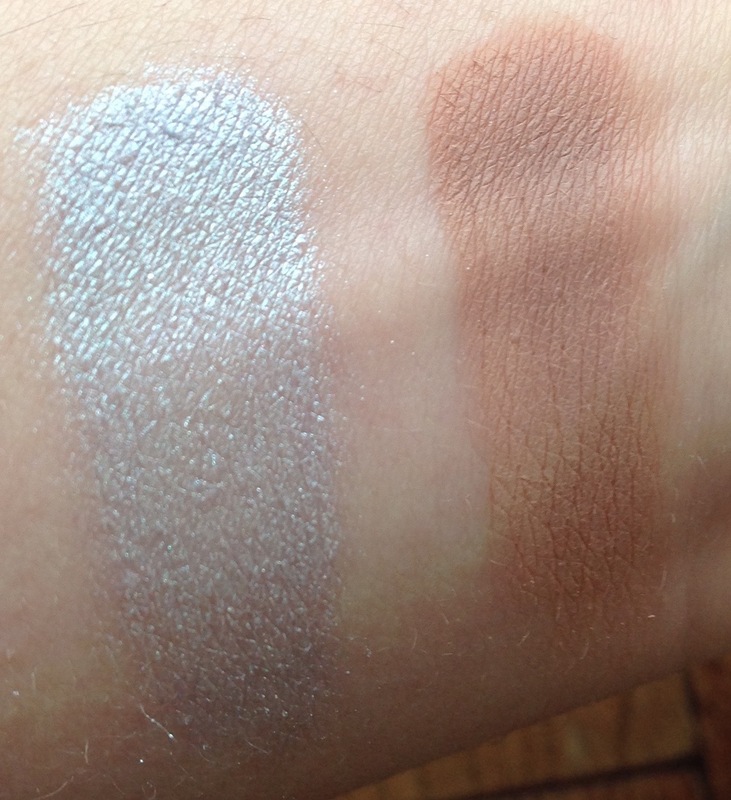 For eyeshadow I got their Howl eyeshadow- a light lilac with blue shift, as well as a sample of their Ozone shadow and a gift with purchase shadow called Desire. 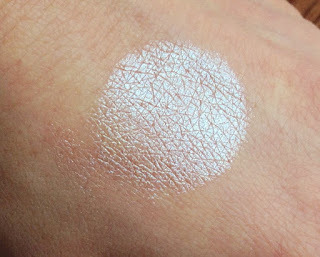 I also decided to try a couple of their Perfecting Glow powders which I got in sample sizes of Close-up and Liberty. 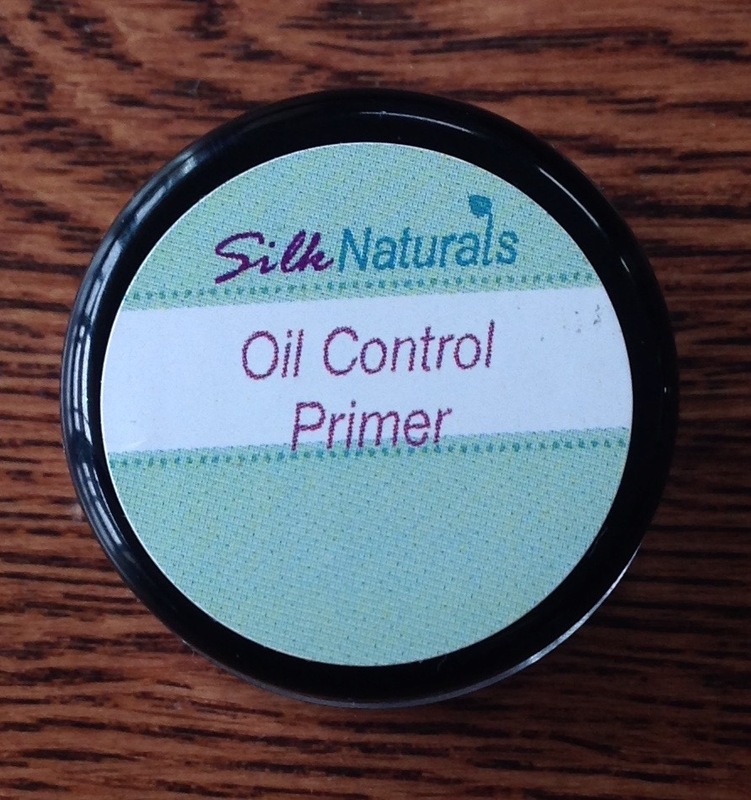 I also bought a sample size of their Oil Control Primer Powder (missing from top picture). 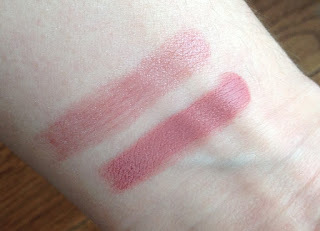 Garter, is a lipstick in the Velvet Matte Lipstick formula, and a lovely my lips but better light mauve shade. The Velvet Matte Lipstick is a nice cushiony formula, with opaque coverage. I personally wouldn't qualify it as a matte lipstick, except that it does hang around for longer than something that feels this nice usually does. From what I've seen so far it isn't transfer-proof but I like the one I purchased and would be interested in trying more from the formula. Asset is from the Kisser Slicker line, a sort-of balm and a lip-gloss together. It's a sheer juicy berry shade that I'm really digging. It's what I wished Black Honey from Clinique had looked like, so I'm really pleased. I'm planning on using it in an upcoming look. I haven't tried this one out as much but I do like the formula even though it doesn't last as long as the Velvet Matte Lipstick does. 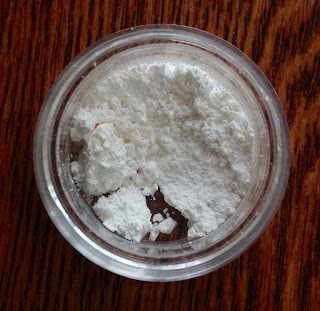 The Oil Control Primer Powder is a white powder than when dusted on goes transparent. The two times I tried I didn't find that it helped all that much with oil control, but I do have very oily skin. I'll keep experimenting with it but so far I'm not sure I'll repurchase. 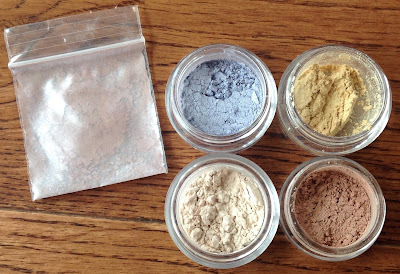 The Perfecting Glow powders I've not been able to give a proper try yet, but I'm pretty excited to try them out. I'm hoping they'll give a similar effect to the Hourglass Ambient Lighting Powders. Liberty is a gold with the smallest sparks of shimmer. 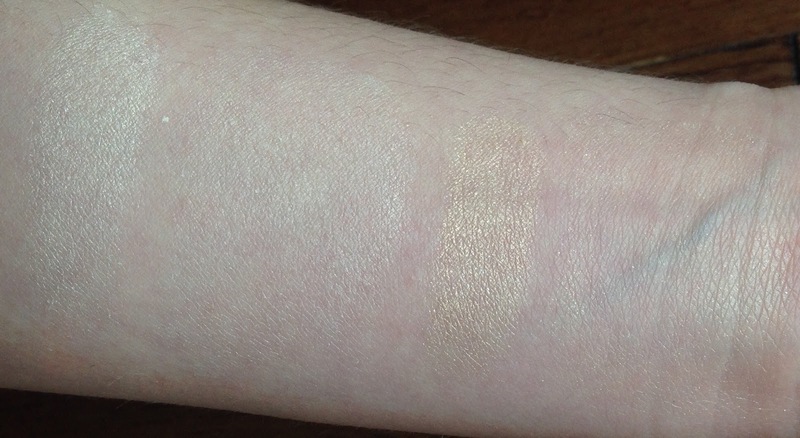 Close-up is a white-tan/gold with more of a sheen than a sparkle. I'll be doing a review on these two once I get the chance to play with them a bit. 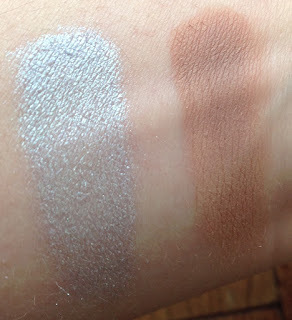 I received three eyeshadows, one I purchased, one gift with purchase because I spent over $10 USD, and one free sample that comes with every order. Ozone was a surprise, as in the bag it doesn't look like much but watched it's a rose-brown with strong blue reflect. Howl is a very light fairly sheer lilac with a blue shift. Lastly is Dearest a matte rose-brown (a tad rosier in real life than the picture). I'm now interested in more of their matte shades. 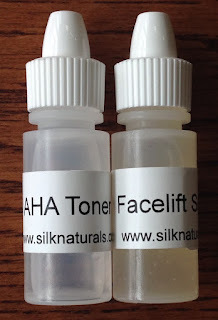 I haven't had long enough to really see results from the skin care but the AHA Toner is 8% Lactic acid and only has a very slight smell to it. It's liquid like water and I don't get any stinging when I apply it. 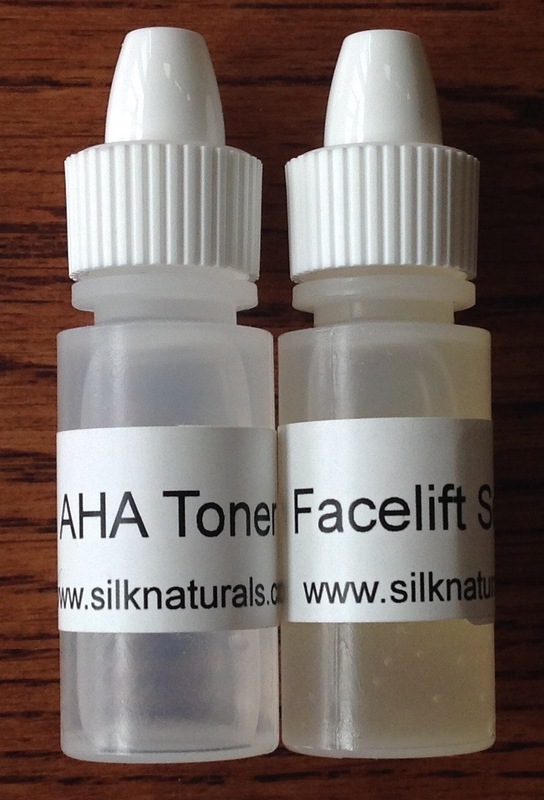 The Facelift Serum is slightly more gel-like in texture. I've given it to my mother so I'll hear back from her on the results. That's it, what do you think? I'm for sure going to be purchasing from Silk Naturals again. 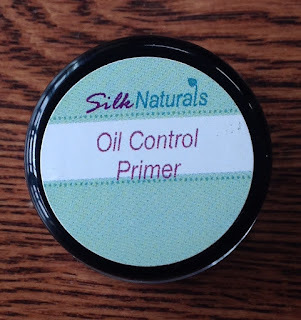 Have you purchased from Silk Naturals before? I'm excited to test drive these some more, let me know if you want something reviewed further. Disclaimer: I purchased all these products myself, except for the gift with purchase and sample eyeshadows that everyone receives when they order over a certain amount.